Up until a decade ago designing and building a house with no air-conditioning in Sydney was considered quite normal. 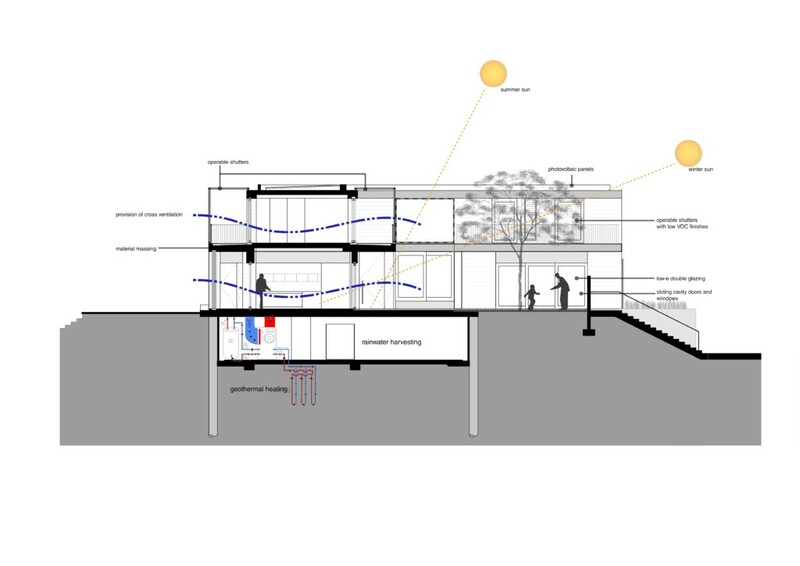 Our planning relied heavily on cross-ventilation, good orientation, shading and insulation. These factors are still integral to a design but more and more our clients are requesting all or part of the house to be air-conditioned. Looking back at the past few months our summer temperatures have increased dramatically and as architects we need consistently rely on passive heating / cooling in our design so that air-conditioning is used only in extreme temperatures. 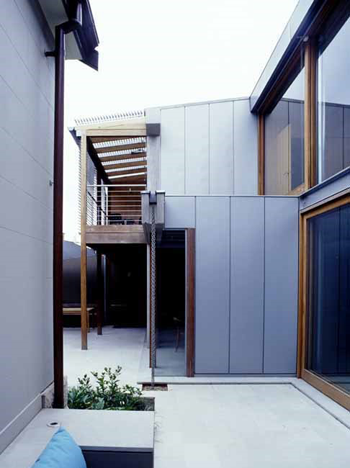 We designed the Woollahra house in 2002 using passive design principles. The main new living areas all face north while the service areas are located to the south. A courtyard (pictured below, left) allows northern light to filter into the double storey living space (pictured below, right) and at the same time provides good cross ventilation. 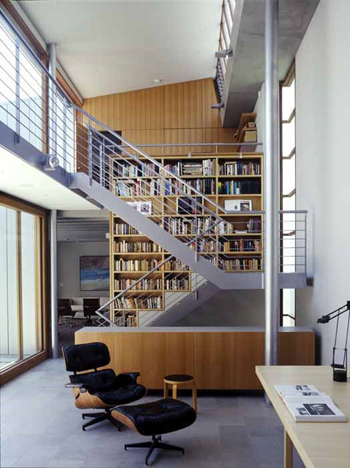 The warm air can escape at the southern highlight window louvres of the double story space. Shading is provided with verandahs and louvred balconies for sun control. For the cooler days, underfloor heating was installed downstairs under the stone tiles which is set on a timer so is only used during off-peak hours through the night, providing warmth when required throughout the day. 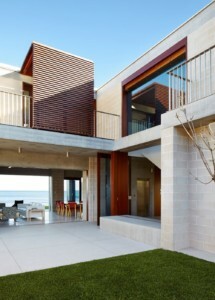 Another example of passive solar design playing an important role is our Block House at Pearl Beach. 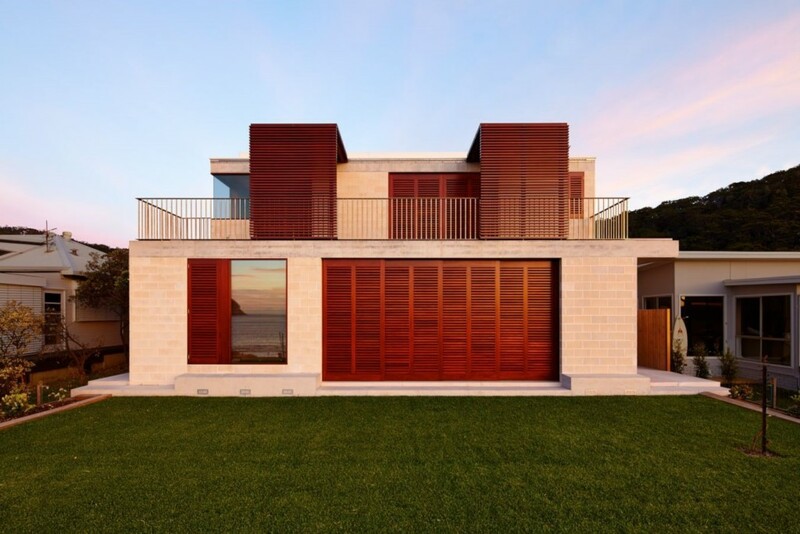 The sliding windows and shutters are massive and are one of the important passive environmental design systems seen in the house. Together with overhangs forming covered terraces, double glazing, sub-floor ventilation, and strategically placed skylights the house is set up for passive controls. While active systems include geothermal exchange for water heating and cooling and for underfloor thermal control, used by the client in extreme hot/cold temperatures. Solar thermal water heating, rainwater tanks and solar panels are also used to good effect. 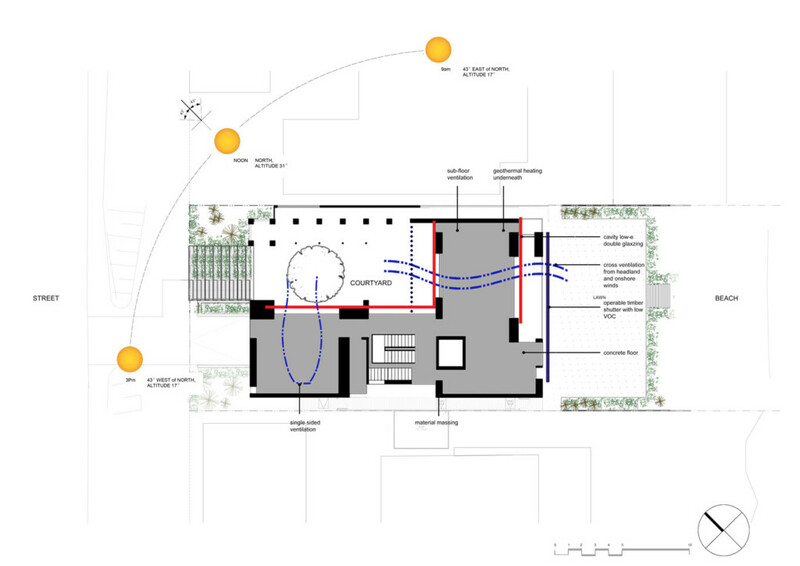 The courtyard not only becomes a private sanctuary, but also allows for consistent and controlled sun access and passive ventilation throughout all spaces in the house.